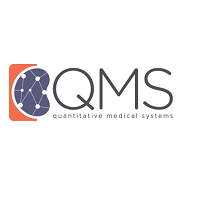 Constellation Software Inc. Acquires the Shares of Quantitative Medical Systems, Inc. (QMS). Toronto, Canada, May 3, 2013 — Constellation Software Inc. (“Constellation”) (TSX: CSU) announced today that it has completed, through its wholly-owned subsidiary Constellation Homebuilders Systems (“CHS”), the acquisition of the shares of Quantitative Medical Systems, Inc.
“Headquartered in Emeryville, CA with customers across the United States, QMS is the proven market leader in the provision of Revenue Cycle Management and Electronic Medical Record solutions for the dialysis marketplace. The acquisition of QMS provides us with a new vertical market where we can apply our proven best practices. We welcome the employees, customers and products into the CHS family.” said Dexter Salna, President of CHS. Constellation’s common shares are listed on the Toronto Stock Exchange under the symbol “CSU”. Constellation Software acquires, manages and builds vertical market software businesses that provide mission­-critical software solutions.